Peggy Downs stood before Borough Council last night to read this statement. Unfortunately, Council President Deborra Sines-Pancoe cut her off before she could finish. We publish that statement here in its entirety. 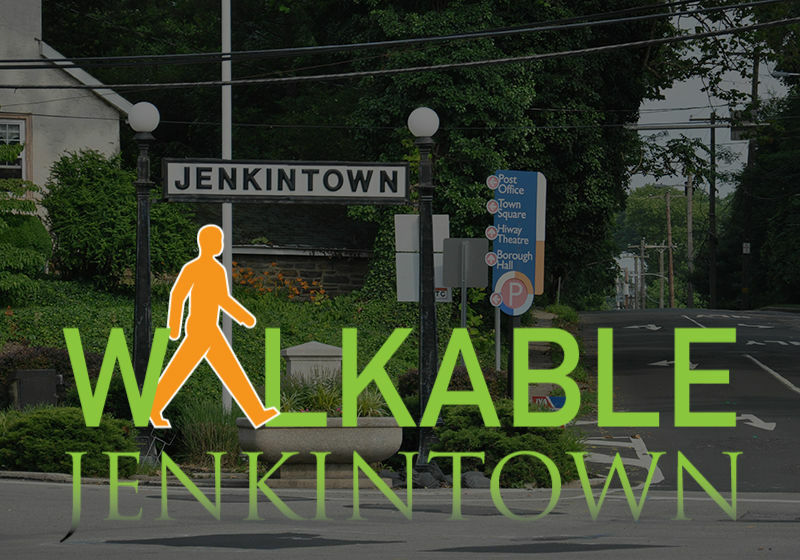 Please share this post not only with your friends and neighbors, but with any connections you might have in the media or with organizations that might be interested in learning more about Jenkintown’s governmental abuses. UPDATE: the Boro has, in fact, re-issued this Violation Notice against us! I received it when I arrived home from work tonight. More taxpayer dollars wasted on this bogus charge!!! Additionally, more unnecessary legal expenses for us just to defend ourselves from an abuse of power! So not fair! Please speak out! Not just in objection of the wrongful spending of our tax dollars, but also to stand up against these malicious acts!! Please feel free to contact me with any questions you may have. Thank you for your support!! I wanted to update members of Council and Jenkintown residents on the Borough’s ongoing efforts to cite me and my husband, David for violating zoning codes, and explain to those here what we have had to endure to clear our names. In August 2016, my husband and I sought the Boro’s assistance with a property zoning issue at the property next-door to ours and quickly came to learn that there was more resistance on the Boro’s part to assist than there was willingness to enforce our existing codes. Our filing complaints with the borough touched off a series of criminal activity directed against us by our neighbors. I stood before Council then and described the early-morning harassment, the threats, and the disturbances directed against me and my family, which continued to intensify concurrently with the Boro’s disinclination to protect my rights under our existing zoning code. We eventually filed private criminal charges against our neighbor, which resulted in guilty verdicts and jail time for him. In addition to not enforcing the zoning code, I also discovered that the Boro had been remiss in properly enforcing our codes pertaining to Business Licenses, Business Privilege Tax Filings/Collections, Contractors’ Permits, Contractors’ Insurance, Rental applications and Tenant Registrations. My decision to run for mayor as a write-in candidate was because I wanted to provide a channel of communication as the residents’ advocate and to also assist in curtailing the noted process deficiencies. This decision was not welcomed by the local Democratic committee. In fact, I was bullied on Facebook by one of the sitting Council Members who made fictitious and non-factual statements about me. At the polls, I was called a ‘cheater’ as well as other derogatory terms. Bottom line, I just wanted to make a difference. I have no hard feelings and I’ve mentioned to many, I am grateful to those who serve our community, where they too are doing so to make a difference. In the weeks immediately before the election, the Borough issued two property violation notices against us. Additionally, in the days immediately after the election, the Boro requested we come up to Boro Hall on December 7th for a meeting to discuss multiple complaints the Boro had received from our next door neighbor claiming we were operating a business out of our property. We were led to believe and hopeful that the intent of the meeting was to ‘discuss’ these accusations and perhaps subdue the dispute. However the intentions of the Boro Manager and the Boro Solicitor were not the same. Rather, upon our arrival, they physically handed us the Notice of Violation which cited a “Commercial Business” was being operated out of our property. It is important to note that after having heard of the accusations against us, I had, on several occasions prior to this meeting, invited our Boro Manager, and our Council Members to come to our property to conduct an inspection. Never, did our Manager, or any Council Member ever take us up on the open offer. Therefore, there was never an inspection of our property before this Notice, even though we had willingly offered and suggested! Outraged, Dave and I decided to fight this as I don’t like being wrongly accused of any type of criminal offense. At great personal expense, we hired our own attorney to assist us with our defense. On Monday, the Judge dismissed the citation because it did not comply with PA statute requirements. However, while the citation has been dismissed for now, the Borough does have the ability to refile it. Dave and I must now wait to see if the Boro Manager and the Boro Solicitor will continue to pursue this as they had expressed their intention to do so after our hearing. I have a petition containing the signatures of a number of my neighbors who will go on record saying that they have never seen any business activity at our home that would violate our zoning laws. Some of those neighbors are planning on coming to the Council meeting this evening. Accordingly, I plan to ask Council, how many more thousands of taxpayer dollars will they spend to continue chasing us for a violation (with a nominal fine) that did not occur and is not occurring? It is simply wrong! Finally, I hope that by bringing this matter to light, this type of persecution is never again inflicted on another Jenkintown resident.